Are about to go out, and I will gladly take on a few more at the last minute if you want in! Last chance until May subscriptions 🙂 Also, don’t forget about Stationery Subscriptions for your mom’s for Mother’s Day! Gift cards are available now, so come and get them and be ahead of the game. I REALLY love selling stationery. Once of my favorite past times is scouting new cards and designers. 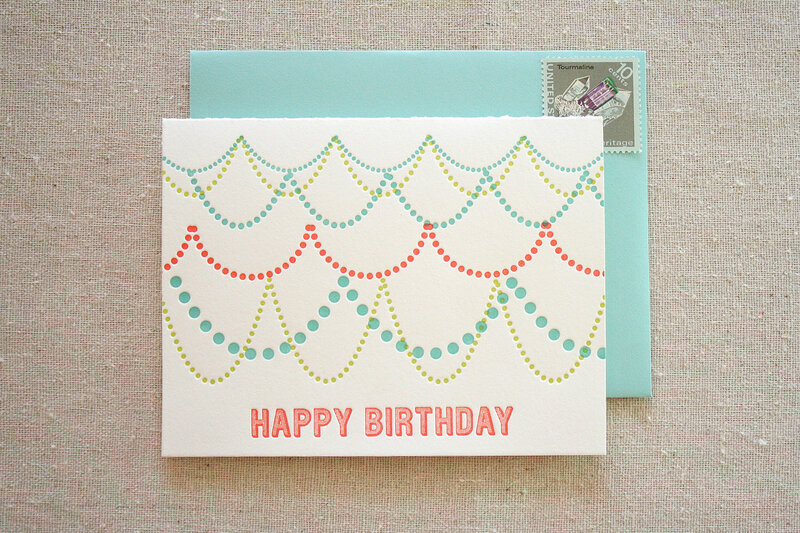 I came across Parrott Design Studio awhile ago, and am SO excited to be featuring Sarah’s letterpress birthday card in upcoming subscriptions. Drooling yet? Get yours here!